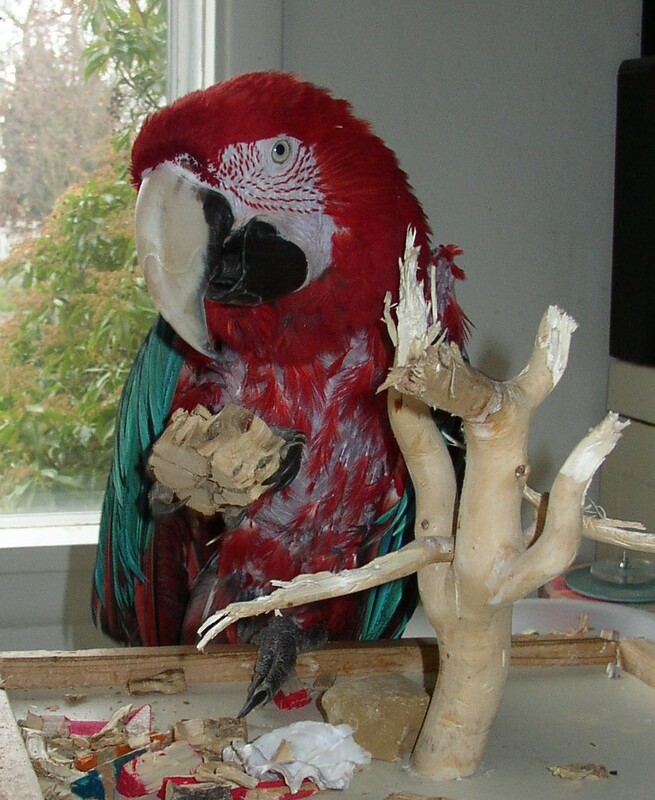 We rescued a Ruby macaw (Greenwing/Scarlet mix), named Cracker, with a serious plucking problem last Labor Day Weekend. Having read about the benefits of red palm oil, we decided to start him on a daily regimen. And while we were at it, we decided to give it to our female Greenwing macaw, Roxanne, as well. She doesn't pluck, but she has been barbering her feathers for years, and won't let her flights or tail feathers grow out. You can read our earlier blog posts about both Cracker and Roxanne for more details. Well, the results have been dramatic. Cracker came to us completely plucked on his legs, chest, back, and shoulders. Partly visible in the photo above, Cracker shows significant new feather growth on his legs, back, and shoulders, and well as encouraging growth on his chest. Of course his diet was problematic before we rescued him, so we can't attribute the change simply to red palm oil. He was subsisting on sunflower seeds and peanuts for probably too long. He was literally starving to death! However, with Roxanne, the only change to her environment and diet has been the red palm oil. She has stopped barbering her feathers, her tail feathers are growing back fully, and her feathers show a luster that she hasn't exhibited in years. We don't attribute the change to Cracker's presence in the household. Roxanne was our first parrot, and she doesn't think she's a parrot. She has nothing to do with Cracker or any of the other parrots in the household. Needless to say, we are sold on red palm oil. And for what it's worth: We do use the organic variety. The available literature on red palm oil is very sparse, and all the evidence we've seen so far mostly anecdotal. Trying to find useful information is frustrating. If anyone has experience with red palm oil as a remedy for plucking parrots, especially macaws, we would love to hear about it. Please send us your stories, positive or negative. I have an Umbrella Cockatoo that has recently begun barbering her feathers - what was the dose you administered to your birds and how? via the water or was it mixed with food? The AviGlo product that we use is a paste (refrigerate after opening) with a dosage of 1/4 teaspoon per day. We spread it on toast, which the parrots love. The warm toast also helps melt the palm oil paste, which makes it easier to spread. If your parrot doesn't go for the palm oil straight, try adding some organic creamy almond or peanut butter. Hi my name is James and I own a 3 year old african grey congo, she is family to us. Recently we went to visit my brother at Lackland Airforce base in Texas and left her with her breeder to babysit. Well the breeder has a couple of bigger more intimidating birds and for some reason we think they scared her and our baby started plucking. Well the breeder was very nice so she moved her away from those birds,near other greys and yet nothing. She stilled plucked, when we picked her up our cockatiel was fine but our grey just kept plucking. So of course I brung her home and got her relaxed. She stopped for awhile then she started up again. She stopped playing with her favorite toys and just shreds and plucks as of now I only see one patch of skin I started giving her the palm oil. I heat it up to an oil but not to much and mix it in with her seed. She loves it but Im not seeing any results. She is slowly stating to play again but not enough for the oil to take course maybe? 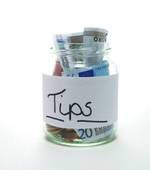 If you could email me your tips and some wisdom my email is jameshayes763@gmail.com thank you so much!